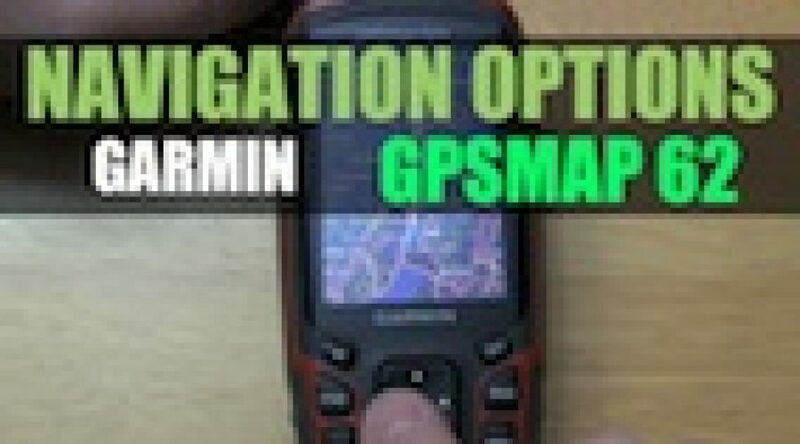 In this video we will look at the navigating options between two points on your Garmin GPSMAP 62. Actually this method will work for most GPS units, the only difference is whether or not you have the appropriate maps installed for driving directions. All GPS units do basic navigation between point A to B. Point A is usually our current position and we select B by scrolling on our map page, or choose an existing waypoint. When we select a point on the map and hit ENTER, we can NAVIGATE to point B fairly easily. On our device, the default routing option will most likely be OFF ROAD or straight line. If we want to use driving directions, if we have the right maps installed, then we can hit FIND again and change ROUTING ACTIVITY to AUTOMOTIVE DRIVING. This will re-route using the roads. The other method to choose Point A other than our current location is to turn off the GPS and enter DEMO MODE via MAIN MENU | SETUP | SYSTEM Here we can move our cursor to a point on the map and we now have the option to MOVE LOCATION. So now our point A is somewhere other than our current location.